If this question had been asked at the time of the birth of Jesus Christ, the "correct" answer would be - Created by God. 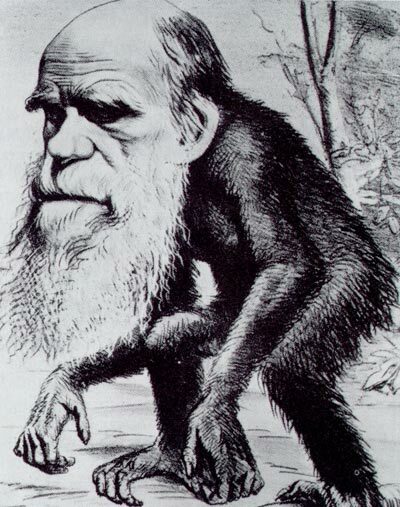 Since the "new belief" - Evolution has emerged at the Scientific Scene, the "correct" answer is now - The Ape. But there are three more possibilities that few have thought about, and I am now giving a short description of all five. Humans from other planets came here in large space ships according to George Adamski. We are fallen Angels, captured in Time and Space according to Orfeo M. Angelucci.